In this day and age with Yelp and online reviews of businesses, one may wonder to what extent defamation laws are applicable and when would they come into play. A recent case ZL Technologies v. Doe demonstrates how. ZL provides email archiving, eDiscovery, and compliance support to businesses nationwide. Glassdoor operates a website on which people may anonymously express opinions regarding employers. Current or former ZL employees posted anonymous reviews on Glassdoor’s website criticizing ZL’s management and work environment. ZL filed a complaint against those individuals, naming them as Doe defendants and alleging libel per se (Civil Code 45) and online impersonation (Penal Code 528.5) to the extent any of them was not a ZL employee. ZL served a subpoena on Glassdoor, requesting identification and contact information for defendants. Glassdoor objected, arguing: violation of the First Amendment and California Constitution privacy rights; the posted statements were “protected opinion, patently hyperbolic, not harmful to reputation,” or uncontested statements of fact; Glassdoor’s reputation would be harmed by disclosure; and, ZL was obligated to make a prima facie showing the statements were libelous before it could compel disclosure. The court denied ZL’s motion to compel. More than a year later, the court dismissed the action because of ZL’s failure to serve the defendants. The court of appeal however reversed. While an author’s decision to remain anonymous is protected by the Constitution, a reasonable fact finder could conclude all of the reviews contained statements that declared or implied provably false assertions of fact, providing a legally sufficient basis for a defamation cause of action. So if statements are false assertions of fact, such statements provide grounds for defamation. The more a statement implies a definitive act that can be proven to be true or false the more likely it is to be a fact. On the other hand, the more a statement is couched in cautionary language making it clear the speaker is expressing his personal point of view, the more it is likely to be considered an opinion. While opinion is a more protective speech and a defense against defamation, statement of fact is arguably more verifiable and subject to defamation cause of action in the event it is not true. A recent case illustrates the importance of negotiating and drafting clear delivery terms in art transactions, and the need to put the parties’ agreement in writing as opposed to relying on oral communication, especially in an art market in which works may undergo material price fluctuations. Filing a complaint on July 20, 2016 in New York state court (Docket No. 653810/2016), Blue Art Limited, a UK company owned by Old Master art dealer Fabrizio Moretti (“Blue Art”), sued art dealer David Zwirner and his gallery, a contemporary art gallery in New York and London. The complaint was for breach of contract and fraudulent concealment and inducement, regarding an unnamed piece by an undisclosed artist. Blue Art alleges that although it paid the full price, Zimmer failed to deliver the work. Blue Art also alleges that the value of the purchased work “has fallen dramatically in the past year”, due to Zwirner’s “mishandling of other sales of works in the same edition” by the artist, “as well as a downturn in the market.” Blue Art indicates that the work is intentionally not described to mitigate any possible further damage to the work’s value. In an email between Blue Art and Zwirner last July, Moretti told Zwirner that he was no longer interested in the piece and wanted to cancel the deal, asking Zimmer to wire him the money back. Zwirner refused. When filing a trademark application, clients often wonder if they should claim color. The answer depends on the so called “likelihood of confusion.” If you are a relatively new company and color is not really a distinctive element of your trademark, it is probably best not to claim color. A trademark presented in black and white without claiming color is presumed to cover the mark when presented in any color. If on the other hand, color in your mark is an essential part of your mark, to the extent you want to prevent others from using your color scheme with different words/characters, it is advised to make a claim for color in your trademark. Take “Mobile” for example, where the “o” is red and the “M-bil” is blue. They registered both as a word mark and in color, to preclude others from using “Mebil” (word mark) and also “Force” with the “o” in red and the “F-rce” in blue. Similarly, Federal Express has various registrations on the mark FedEx with “Fed” claimed in purple and the “Ex” claimed in orange. Therefore, it is be possible for FedEx to claim that the use of “MadFx” infringes its trademark, if MadFx was in the same color scheme where “Mad” was in purple and “Fx” was in orange. This claim is not guaranteed, but FedEx would have a better chance if they have a registration claiming color, than if they did not. However, note that when filed in early 80’s, “FedEx” did not make any claim for color. Its registration initially made a standard character claim to “FedEx,” alone without any claims to style or color. This is because standard character marks cover the words/characters in any font stylistic arrangement or color. Standard character marks are broader than special form marks claiming style elements, logos, or color. In fact, many other famous companies such as Starbucks, Google, and Apple did not initially claim color. In conclusion, for your first federal trademark application it is best practice not to make a claim for color, unless color is very important. If color happens to be very important, you may want to file two applications, one as standard character and one claiming color. All LLC’s with two or more members should have an operating agreement. Although this document is not required for a single member LLC, it’s a good idea in any case. An operating agreement sets forth the rights and duties of the members of the LLC and provides guidelines for its operation. It deals with capital contributions, allocations and distributions, management, membership notice, and voting rights, transfer of membership interests, dissolution and winding up and other important matters. LLC can be either managed by the member owners, much like a general partnership, or it can be structured to be managed by a manager, subject only to the general review and confirmation of the members. It is recommended to have an operating agreement for the following reasons. First, the operating agreement describes the operation of the LLC clarifying how funds are contributed or distributed to the owner; hence it is a good way to assure appropriate records are kept. Second, having an operating agreement and keeping records of operations helps establish the separateness of the business from the owner for liability and tax purposes. If you don’t have an operating agreement, you will find it more difficult to show that your business is separate from you. This is crucial, particularly if there is a liability issue. Third, an operating agreement also clarifies what happens if the owner dies or is unable to run the business. ; that is, it creates a succession plan. Your operating agreement should include a clause stipulating who will manage the LLC if you are unable to do so. Without this specific provision, it may be difficult for your family to continue the business or dispose of it without a lengthy legal battle. Finally, an operating agreement helps avoid default rules of the California Codes of Corporation, which would govern if you don’t have set forth the conditions. In other words, without the operating agreement you run the risk of having the state tell you how to dispose of your business assets or otherwise run it which may not be what you want. This week, Fox News lost a bid to end a lawsuit over its use of one 9/11 photo. Fox News raised the flag of “fair use.” Consequently, New York federal judge Edgardo Ramos examined the four factors that constitute a fair use of copyright and denied defendant Fox News’ summary judgment defense of fair use based on the last two factors. Factor Three: Purpose and character of use– However, Fox News can’t prevail on summary judgment because the judge looked at the purpose and character of the work and found it not to be transformative. The judge reasoned that the news organization was hardly the first to have ever thought of combining two photographs, that #neverforget was a “ubiquitous presence on social media that day.”Furthermore, the judge said that it was a question of material fact whether Fox News used the photo for the commercial purpose of promoting Pirro’s show as opposed to commemorating 9/11. This ruling is significant in today’s social media driven culture. Here, the defendants used the image in a social media context and even used a hashtag. This type of ruling is the reason why bloggers and websites are advised to never just search for an image and use it in a post or article or Twitter. This can also apply in case of those using footage without permission for documentary productions hoping that they can get away on basis of fair use without proper clearances. 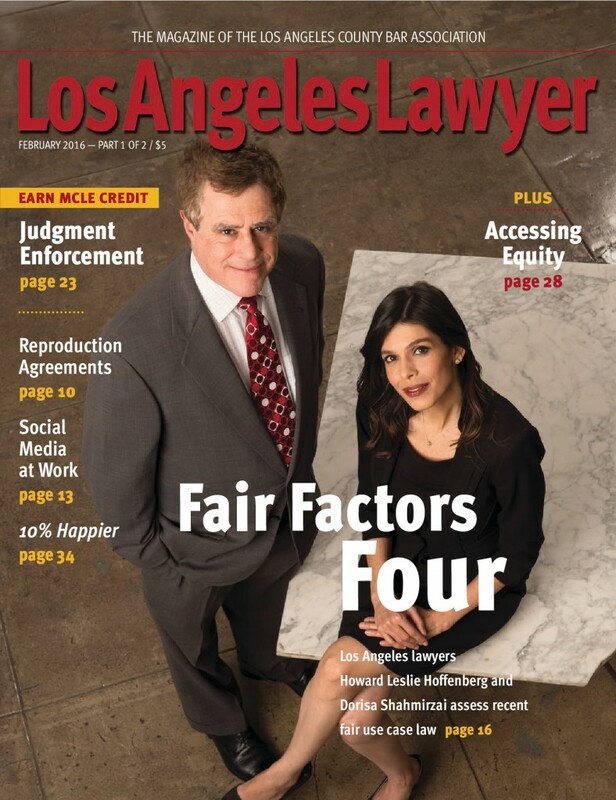 Article by Dorisa Shahmirzai, Esq. In a recent case, Warner Bros. sued Mark Towle for violating its intellectual property. 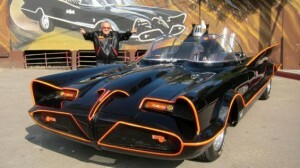 Mark Towle has been operating a car customizing shop called Gotham Garage, which makes replicas of cars from TVs and movies. A U.S. District Court Judge Ronald Lew has ruled that the Batmobile is subject to copyright because the car is itself a fictional character in the Batman franchise. This decision, which indicates Batmobile vehicle is a protectable character much like its fictional owner, has significant repercussions for copyright law as well as for business sectors within the entertainment, digital media and manufacturing industries. Although Lew found that, the Batmobile would be copyrightable as a “pictorial, graphic, and sculptural work,” it’s the discussion of the Batmobile as character that’s the most interesting. Lew ruled that Towle violated DC’s copyright on the character of the Batmobile. Lew cited an earlier case, Halicki Films LLC, v. Sanderson Sales and Mktg. et al. That case brought to issue the question of whether or not the “Eleanor” car in the 1974 film Gone in 60 Seconds was a copyrightable character. The Ninth Circuit did not decide whether Eleanor was herself copyrightable. However, the case indicates that a non-sentient vehicle can be protected as copyrighted as long as it fulfills the other requirements of a character under copyright law. Copyright law protects content creators in literary characters if the character constitutes “the story being told.” As such, in this case, Lew held that Batmobile does fulfill that requirement to be protected under copyright law. Given the current climate in graphic media, objects that we don’t traditionally consider characters would be integral to the storytelling. You could have a perfectly engaging story that centers on the Batmobile, after all. If other courts uphold this case or cite it as persuasive law, it creates some questions about what constitutes a character in storytelling, and what constitutes a mere storytelling accessory. Reality television is a new growing area in the entertainment industry. Although the area is flexible due to lack of sufficient history, three types of reality television agreements exist: 1) writer agreements, 2) performer agreements and 3) content creator/producer agreements. Each of the above-named agreements have their own deal points that must be carefully negotiated to avoid pitfalls and confusion in the future. For example, although it would appear that writer agreements are non-scripted, writers are engaged to create dialogue, scenarios, sketches, plot outlines, synopses, routines, and other narratives for the shows. Agreement depends on type of services required, whether or not the contract is subject to Guild regulations, and other factors such as writer’s quote and budget of the program.